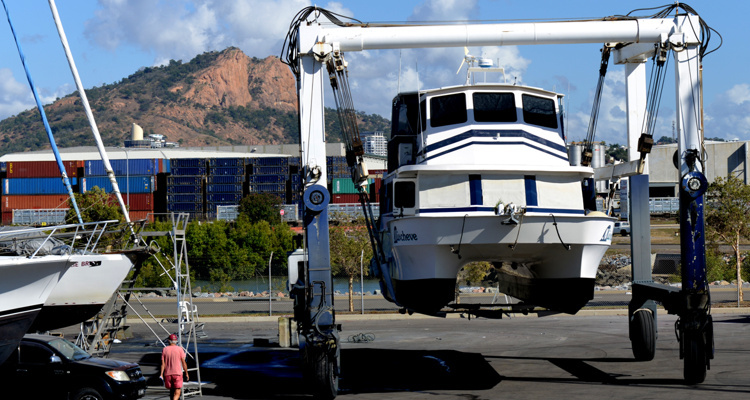 Rosshaven Marine has both a 60T and 180T travel lift capable of lifting vessels with a maximum beam of up to 12.0 metres. Our secure site provides 2.2 hectares of sealed hardstand with undercover, lockable storage options, work berths and secure moorings also available. All sites have access to single or three phase power, air and water. Live aboard facilities are also available for vessel owners at no extra charge. 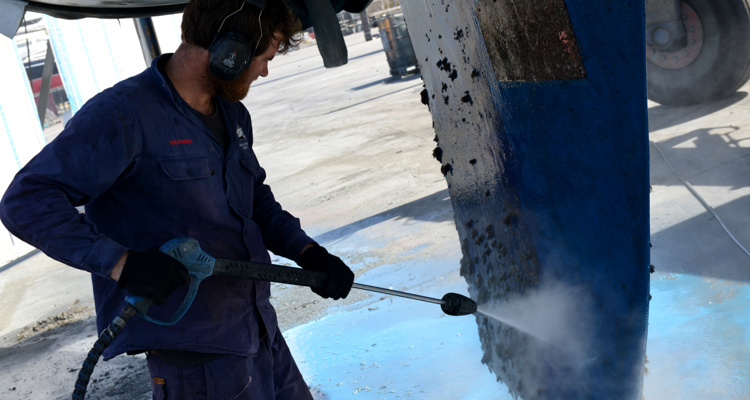 Rosshaven Marine has a 1600 square metre blast bay and fully enclosed blast chamber to allow abrasive blasting of complete vessels, parts and machinery. 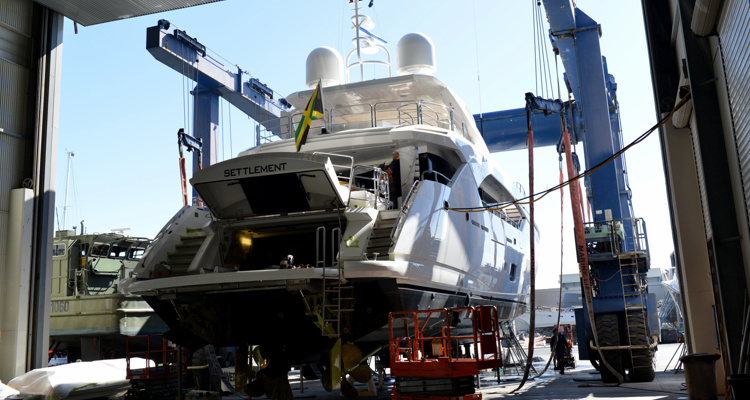 Our skilled team of fully qualified painters can assist you with surface preparation, antifoul application, complete vessel repainting or touch ups and cut and polishing. 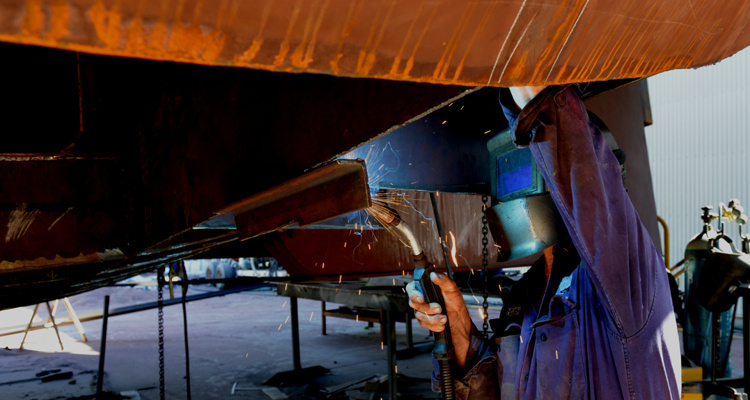 Rosshaven Marine has engineers and qualified boilermakers and fabricators on site who can assist you with your hull and deck repair and maintenance requirement, including structural repairs, stainless and alloy repairs and steel fabrication. Rosshaven Marine is an accredited dealer and service agent for VOLVO PENTA and YANMAR Marine Engines and KOHLER and MASE generators, stocking a comprehensive range of spare parts. 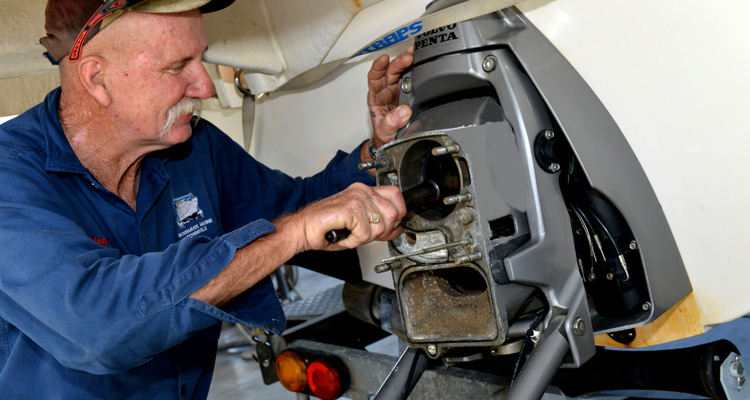 Our fully qualified team of marine technicians, diesel mechanics and fitters can assist you with you with your engine, outboard and generator servicing, fault finding, diagnosis and repair, engine removal and reinstallation. Rosshaven Marine has a team of fully qualified shipwrights and boat builders on site to provide expert advice and assistance with complete refurbishments and refits, new vessel fit out, accommodation fit out, maintenance and repair, insurance repairs, fibreglass repairs and hull repair and caulking. 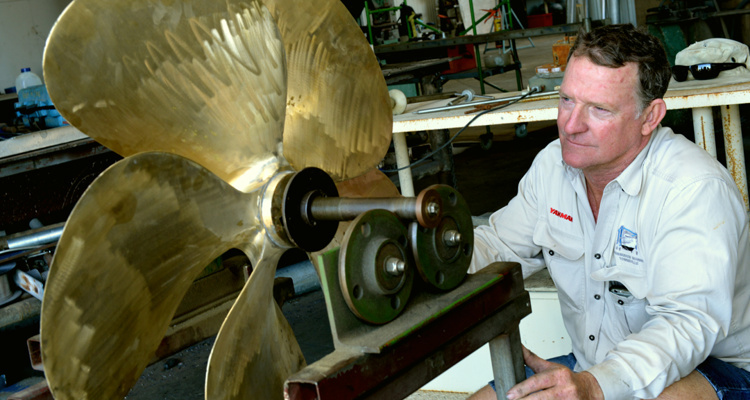 Rosshaven Marine’s propeller shop can carry out repairs & balancing of propellers of up to 1m in diameter. Propellers are available for purchase and we can provide advice and references for changes and adjustments that can be made to improve performance. Rosshaven Marine has mooring facilities and on water diesel available for vessels up to 100’. For all products and specialised services get in touch with Rosshaven now.